Judge Graham Disdains Law, Denies Prevailing Indigent $92.60 In Costs Yet Awards $200,000 In Attorneys’ Fees Against Same Indigent! This post will demonstrate yet another instance of where U.S. Dist. Judge Donald L. Graham, “Teflon Don” has demonstrated a reckless and blatant disregard for well established law and binding precedent with apparent impunity. Specifically, Judge Graham was required by law to either award costs of $94.62 to Mason , the prevailing defendant in a lawsuit, Case No. 00-14240, or state a legally sufficient reason for not awarding costs. Judge Graham defiantly chose neither and simply denied the costs without stating a reason. 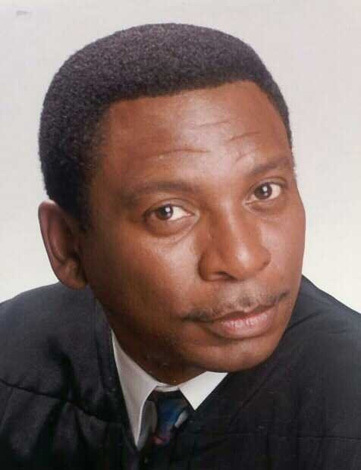 Even more egregious and mean-spirited, Judge Graham later awarded 200,000 in attorneys’ fees against the same indigent, Marcellus Mason, in complete disregard for the law. Teflon Don has an amazing pattern and practice of disregarding the edicts of appellate courts. See this site posts, “Florida Judge Thumbs His Nose at U.S. Supreme Court Ruling on Poor People’s Right to Access The Courts” and “Florida Judge Thumbs His Nose at U.S. Supreme Court Rulings on Due Process And Attorneys’ Fees“. Judge Graham, without a doubt, is in fact the “Teflon Don“. Lastly, such conduct as described here and elsewhere has been deemed not to be judicial misconduct by Chief Judge J. L. Edmondson, United States Court of Appeals, Eleventh Circuit. While there are other pending cases between these parties, there is nothing near the extent of the litigation which this Court and the Eleventh Circuit Court of Appeals usually look to for justifying injunctive relief. See R&R, pg. 3. Judge Graham accepted this R&R in its entirety and dismissed the case on February 13, 2001. See Docket Entry No. 33. The Plaintiffs, Highlands County Board of County Commissioners, in this matter took nothing from this lawsuit for it failed in its only claim for injunctive relief. “The rule in this circuit is that where the trial court denies the prevailing party its costs, the court must give a reason for its denial of costs so that the appellate court may have some basis upon which to determine if the trial court acted within its discretionary power(internal citations omitted)” “Baez v. United States Dept. of Justice, 684 F.2d 999, 1004 (D.C.Cir.1982) (en banc) (“Every circuit that has considered the question (ten out of twelve) has not only recognized the presumption [that prevailing parties will obtain costs], but has held that a court may neither deny nor reduce a prevailing party’s request for costs without first articulating some good reason for doing so.”). “Under Rule 54(d), the “prevailing party” automatically is entitled to costs “unless the court otherwise directs.” Indeed, the Rule contemplates that applications for costs will be presented in the first instance not to the court but to the clerk; a district judge need not take up the issue at all unless the losing party makes a timely motion for judicial review.” BUCHANAN v. STANSHIPS, INC., 485 U.S. 265 (1988). Teflon Don shows that he doesn’t give a damn about legally binding precedent. On January 23, 2001, Mason filed a Defendant’s Motion For Taxation of Costs seeking to recover the costs of defending a lawsuit in Case No. 00-14240. THIS CAUSE is before the Court upon Defendant’s Motion for Taxation of Costs (D.E. #30). THE COURT having considered the Motion, the perinent portions of the record and being otherwise fully advised, it is ORDERED AN ADJUDGED that Defendant’s Motion for Taxation of Costs is DENIED. However, the district court’s discretion not to award the full amount of costs incurred by the prevailing party is not unfettered,(internal marks and citation omitted)”since denial of costs is in the nature of a penalty for some defection on [the prevailing party’s] part in the course of the litigation.” To defeat the presumption and deny full costs, a district court must have and state a sound basis for doing so. See Docket Entry No. 35. Judge Graham denied a motion to proceed on appeal without paying the appeal docketing fee, or in forma pauperis, “IFP”. See Docket No. 43. An appeal would have been futile. The Eleventh Circuit had already indicated its unwillingness to reverse Judge Graham on a previous appeal even where the law clearly favored Mason. Consequently, any appeal would have been futile as the Eleventh Circuit would have followed its usual pattern and deployed an “unpublished opinion” and affirmed Judge Graham. For proof of this very serious allegation, see this site, post entitled “Eleventh Circuit Uses Same Set of Facts To Reverse One Florida Judge While Affirming Another Florida Judge“. Judge Graham denied Mason the opportunity for appellate review by denying Mason’s in forma pauperis motion for a reason not supported by the United States Supreme Court in “Denton v. Hernandez, 504 U.S. 25, 27 (1992);” and “Neitzke v. Williams, 490 U.S. 319, 324 (1989)” which states that …1915(d) authorizes federal courts to dismiss a claim filed in forma pauperis “if the allegation of poverty is untrue, or if satisfied that the action is frivolous or malicious.“ See See Docket No. 43. In addition to Judge Graham’s pattern and practice of disrespecting the rule of law and binding precedent, Teflon Don can be mean-spirited and vindictive as well. Judge Graham was quite adamant about not awarding Mason chicken change in court costs ($94.62) against these same heavily insured Defendants, Highlands County Board of County Commissioners, but had absolutely no problem awarding these people $200,000 in legal feels against Mason in Case No. 99-14027. The Defendants did not prevail on any issue as that lawsuit was dismissed because of alleged out of communications between Mason and Highlands County. For an incredible story, see Attorneys’ Fees Webpage for more information. This post will only address the narrow legal point that attorney’s fees can not be awarded if they bankrupt the Plaintiff or the Plaintiff has no ability to pay. The underlying merits of the lawsuit is fully discussed at the Attorneys’ Fees Webpage. The only legal point being raised here is that the district court can not make such a grotesque award even if a Plaintiff’s lawsuit was totally frivolous, which this clearly was not the case, given the financial insolvency of Mason. Judge Graham knew that Mason was proceeding as an indigent having been awarded in forma pauperis status, “IFP” to initiate the lawsuit. See Docket Entry No. 3. Moreover, it was Judge Graham and his Magistrate, Frank Lynch Jr., who said: “it does not appear as though the Plaintiff has any financial ability to pay any attorney’s fees which may be assessed against him in this case.” Docket Entry No. 882, pgs. 6-7. Making this massive award even more pernicious, Judge Charles R. Wilson, Eleventh Circuit, U.S. Court of Appeal ruled that it was “frivolous”, without stating why, to appeal this massive award. See this site, post entitled “Judge Wilson Rules Appeal Of Award $200,000 Fees Frivolous“. On October 17, 2002, while denying a motion for clarification, the Eleventh Circuit, for the second time, asserted that it was frivolous to file an appeal of a $200,000 award in attorney’s fees. See Order dtd Oct. 17, 2002. A feature of this blog is describing conduct that Chief Judge J.L. Edmondson, Eleventh Circuit, and others, do not consider to be judicial misconduct under the Judicial Misconduct and Disability Act, 28 U.S.C. §§ 351-364. This posting will demonstrate that federal judges can intentionally disregard well established law and binding precedent with near absolute impunity. Chief Judge J.L. Edmondson, and others, asserts that such acts, even if true, do not constitute judicial misconduct. Moreover, according Judge J.L. Edmondson interpretation of the law, even if Judge Graham were involved in a pattern and practice of total disregard for clearly establish law and binding precedent such behavior would still not rise to the level of judicial misconduct. See Complaint of Judicial Misconduct No. 05-0021. For More Support, Complaint Nos. 05-0008, 05-0012, 05-0013, 05-0020, 05-0021. Switching vernacular for the moment, according to Judge Edmondson there aint no judicial misconduct.